It all began with the love of a dog named Henry. You see, this Rat Terrier, to Milton Decker an avid hunting enthusiast, possessed qualities that are seen only once in a lifetime. Henry was a 32 pound male with button ears and exhibited tremendous working and hunting qualities. He was quite intelligent with a wonderful disposition and a superb all round family dog. Being so taken with this dog, and wanting to preserve what they had found, Milton embarked on a journey about the year 1970. 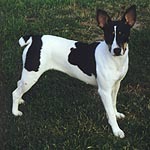 He traveled from Oregon to as far away as Texas, Kansas and Mississippi; searching for the largest Rat Terriers he could locate for breeding stock to recreate his ideal of the perfect dog. 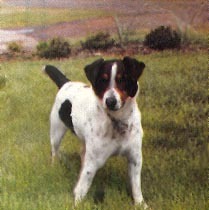 By breeding the Henry dog to the Rat Terrier stock that he had obtained the Decker strain was on its way to development. at the time, this made way for breeding and retaining the large size. He succeeded in doing this along with fixing in an erect ear set. And so the name Decker "Giant" came into existence. The dogs that he produced from these lines lived up to all his expectations. 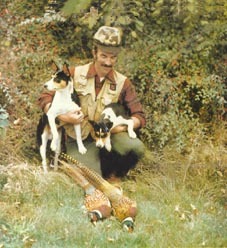 Here was a utility dog that was an excellent all round hunter. Vermin, squirrel, bird and upland quail were commonly hunted and they would also retrieve from the water when necessary. These dogs were capable of baying up wild pig and would tree just about anything. They were also skilled in hunting big game like deer, cougar and bear. Some were even used on Jaguar in Central America before they hit the endangered species list. Bow hunters loved them because they were such great scent trailers. The dog would stay within 300 feet of the hunter and have been known to even turn the hunt back. Natural instinct without any training makes them valuable to the farmer. They will efficiently and quickly rid a farm of mice with a quick shake, a toss over their shoulder and proceed onward. When presented with many mice to kill at once, what couldn't be put in his mouth to kill was pinned down with his paws until he could get to them. ranches that are plagued with them. The average weight for females generally ranges from 22-28 lbs. Males 28-40 lbs. Heights range from 16"-19" though occasionally larger and smaller dogs are seen. Recently there are selective lines producing both male and females of considerable size. There are some subtle differences seen within the Decker Lines. They have a somewhat broader type of skull that tends to wedge into the muzzle and square off, and are commonly seen with some face wrinkle. They possess a very regal and elegant look regardless of their size. 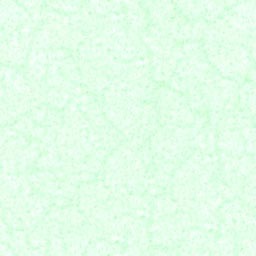 Though their tendencies are not to bark, when alerted or treeing they voice with a coarse bark. The Decker dog has the same character as the Rat Terrier but tends to be a tad bit more aloof and independent. Their average lifespan is 15 to 16 years. The most solid attribute that they share exclusively with the Rat Terrier is an undying will to please their master and a need to be near him. With this strong willingness to please, the teaching of aggressive behavior should be avoided at all costs. Their intelligence is far supreme to most breeds, holds extremely keen senses and a loyalty that transcends them as a family dog. 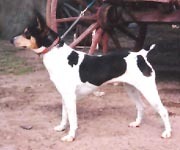 The three qualities that are essential to the Rat Terrier breed are easily seen in the Decker Strain. Quality 1. A capable utility/hunting dog. Quality 2. A wonderful family companion. Quality 3. A watch dog with keen alert senses picking up intruders very quickly. 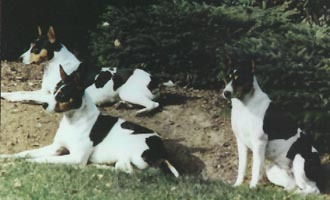 Although Milton Decker retired from breeding in 1991, This highly prized strain of Rat Terrier can still be found dispersed throughout the country with breeders located in California, Oregon, Florida, Alabama and Michigan. ..................... "Mr. Big" "Farrah" "Buster" "Ringo Rules"
The standards for the Decker Strain are the same as the Rat Terrier with the following exceptions. SKULL: Slightly rounded and broad on top between the ears. Most often seen with light wrinkling on the forehead. MUZZLE: wedge shaped and squaring at the nose. Fault: Excessive cheekiness Extreme Fault: snippy muzzle. EARS: erect and usually standing on a puppy by 10 weeks of age. Fault: tipped, rose or button. Set high and carried erect when the dog is alert. Tails should be docked as a puppy before one week of age. Leave approximately 3/4 of an inch on the puppy, which as adults produces a tail of approx. 2-3". Fault: full tail, no tail or Natural Bob Tail. Black/White/Tan, Black and White, Tan and White, Black and Tan, Sable and White. All other colors will be faulted. The Decker Strain can range in weigh from 22-40 pounds and their proportion is of a 10:10:9 Ratio. Height - Females 16" - 17" inches, Males 16" - 19" inches. Occasionally larger and smaller dogs are seen.